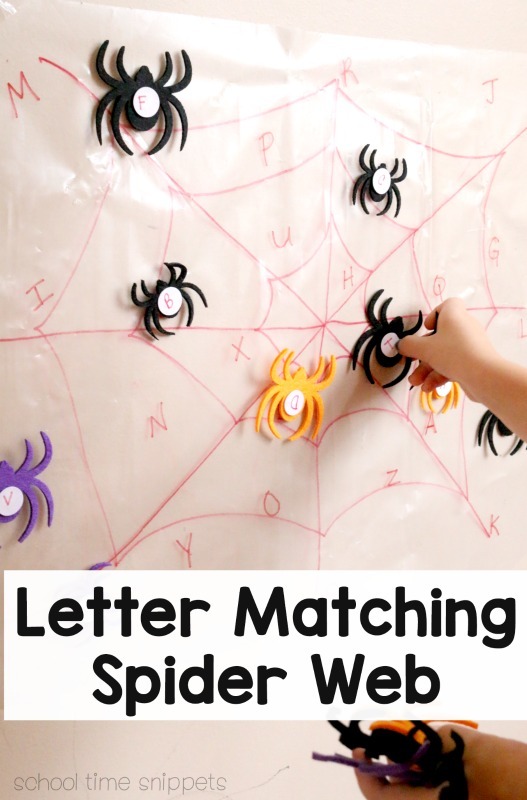 Work on letter matching with this fun spider web activity. Your preschooler will LOVE this sticky wall spider web activity to practice their letter matching skills! To learn the letters of the alphabet, young kids need a lot of exposure of the letters through hands-on activities. 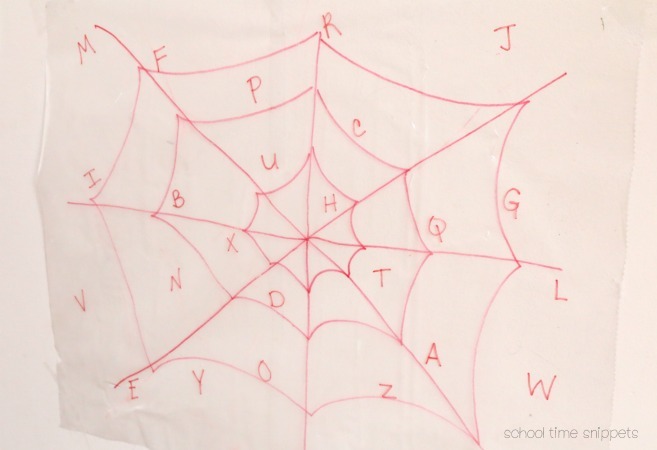 A fun way to learn the alphabet is with this Letter Matching Spider Web! 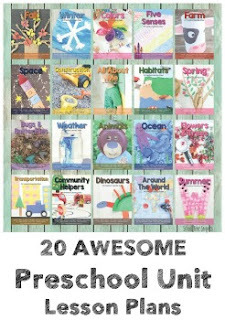 It's a creative way to make learning the ABC's fun for toddlers and preschoolers! But wait! you might say... spiders?! Yes, spiders! But fear not, they are felt spiders you can buy at your local craft store. 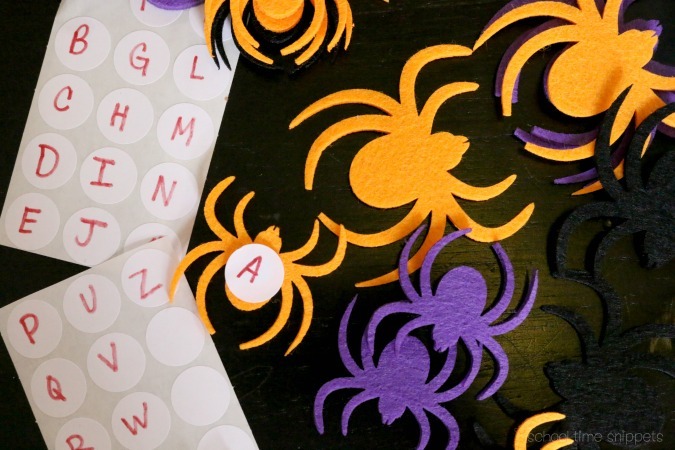 Spiders are not my jam, but this letter matching activity was a hit with my preschooler! Look for these orange, black, and purple spiders in the Fall and/or Halloween decor at your local craft store. This spider learning activity is perfect for the fall months, or when you are compiling activities for a preschool spider theme! To prep the activity, set aside 26 spiders-- one for each letter of the alphabet. On a dot sticker, write a letter of the alphabet. Place a dot sticker on each of the spiders. Alternatively, you could try to write the letter on the spider. To prepare the sticky spider web, unroll a large piece of contact paper. Pull the paper backing off carefully and tape the corners of the contact paper onto the wall. Make sure the sticky side is facing OUT. With a sharpie marker, draw out a spider web. I started with a vertical line and then drew a horizontal line through the center. So now you have a plus sign (+). Next, draw an two diagonal lines through the center making an X. In a way you have what reminds me to be a very simple "snowflake" design. To finish the spider web, connect the lines by making u-like lines. Are you still with me?! I apologize in advance, I am no art teacher ; ) Thus now you should have a very simple spider web drawn onto the contact paper. Finally, write a letter of the alphabet all over and around the spider web. 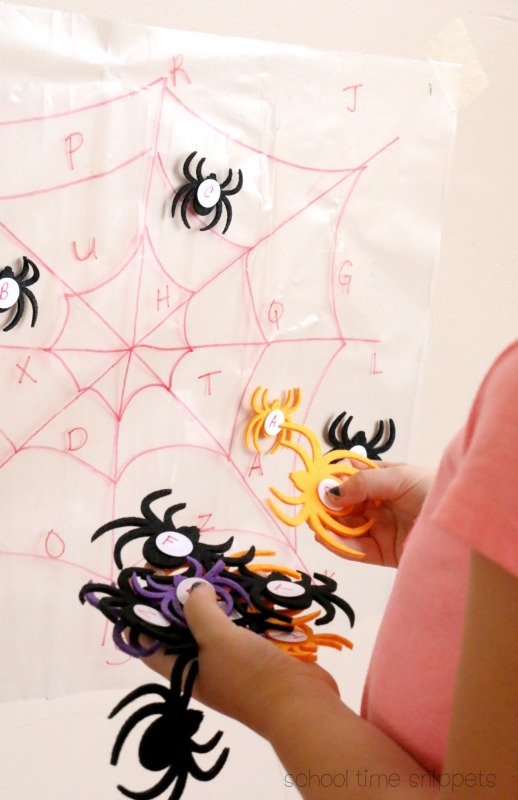 With the letter spiders in hand, have your preschooler match the spider to the letter on the spider web! It's a great way to make learning the alphabet fun! And, who doesn't love to play with contact paper?! 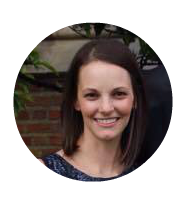 Move over worksheets and flashcards! 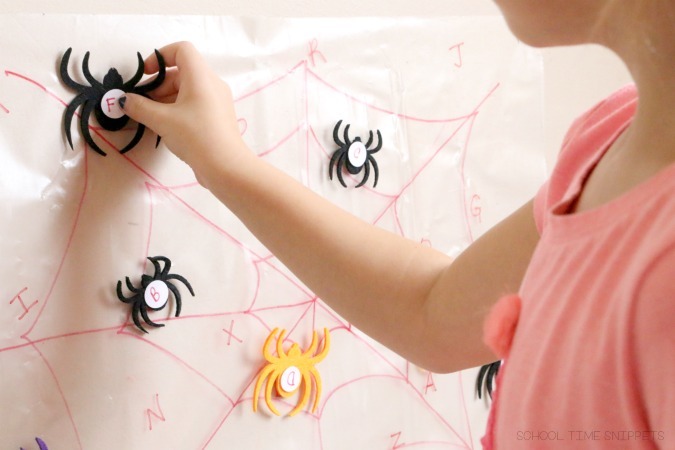 Your preschooler will love this Letter Matching Spider Web Activity! I had my preschooler match uppercase letters to uppercase letters, but you could also work on lowercase letters or uppercase/ lowercase matching. You might also switch this up to work on shapes, numbers, or even sight words!